As a stadium-class pop act with roots in musical theater and performance art, Lady Gaga does not deal in subtleties. Gesture to the nosebleeds, and you reach everyone in the room. If the wide-brimmed pink hat she wears on the cover of her new album, and the choice to use her real middle name, Joanne, for its title didn’t hint at a stripped-down affair, a Bud Light–sponsored promotional stop in a Nashville dive bar ought to have done so. As Gaga took the stage at Music City watering hole the 5 Spot in a black-and-gold sequined onesie and matching cowboy hat, acoustic guitar in tow, it became clear that Joanne was to be her country album. The question was whether she could nail the pivot without alienating her base or making a mockery of modern country. The war between what Joanne wants to be and what it needs to be is a constant. It wants to be — and frequently is — a clever post-Shania amalgam of country grit, dance-pop gloss, and folk balladry. Upbeat cuts like “A-YO!” and “John Wayne” trade synths for guitars (provided on the latter by Queens of the Stone Age’s Josh Homme) without sacrificing the hooks. Elsewhere “Joanne” and “Million Reasons” slide even further into the country gambit, scaling back percussion and nudging Gaga’s vocals to gutting depth over faintly strummed guitars. Gaga’s comfort with the country material here makes Joanne’s more deliberately streamlined bits jut out like commercial concessions. “Perfect Illusion” is a fun sing-along, but it feels like a bone tossed to Gaga’s faithful Little Monsters next to “Million Reasons” and “Sinner’s Prayer,” the biggest left-field bids for country-radio airplay since Beyoncé’s “Daddy Lessons.” In addition to a sly nod to Neil Young’s vocals on Crosby, Stills, Nash, and Young’s “Ohio,” opener “Diamond Heart” is a rowdy callback to the glow-stick Springsteen thrust of 2011’s Born This Way. It sits at cross purposes with the mellower songs that follow, like a superhero movie trailer played ahead of a romantic comedy. Gaga shouldn’t have had to reference familiar sounds to just to appease old fans — 2016 has seen its share of risky, take-it-or-leave-it releases from major artists, and Joanne might have benefited from some of the same fearlessness. But there’s also some wisdom in stashing catchy little insurance policies throughout an album reckless enough to push a string of pop-country jams on the EDM kids. It’s tough to imagine a country crowd accepting clichéd touches like the Marlboro fixation of “A-YO!” or the beer-swilling lovers of “John Wayne” without gripes about outsiders dressing up in their culture. On paper, Joanne is a Nashville subplot come to life: Starlet in need of inspiration finds it on Music Row. In a perfect world, suspicions of Gaga’s intent in going country would disintegrate on the strength of her voice. 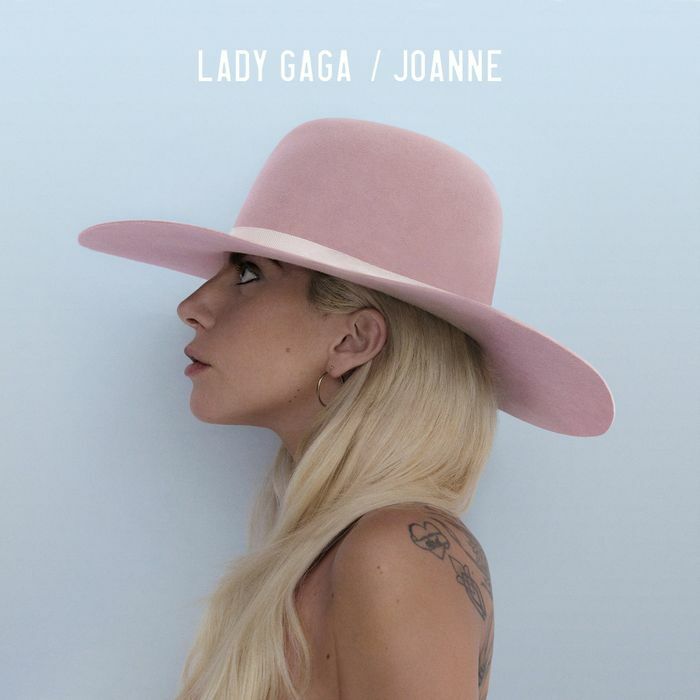 Every line of Joanne sounds both carefully planned out and a blast to sing. The high lonesome open of “Diamond Heart” explodes into crystalline clarity just in time to ring in the album’s first chorus. “A-YO!” is full of breathtaking gymnastics, but “Joanne” runs wan and wavery to match the questioning aimlessness of the lyric. Even if you find the new music challenging or confusing, Gaga makes sure you feel it. As a case study in incongruities — pop-country versus EDM, brash theatricality versus quiet introspection — Joanne is fascinating, if occasionally frustrating. Co-producers Mark Ronson and BloodPop buttress each other’s strengths, Ronson’s ear for classic soul, funk, and rock mixes well with BloodPop’s modernist touch. Both are observant of the mechanics of mainstream country here, but not beholden to them; Gaga resisted the urge to splurge on Nashville producers, which helps keep Joanne limber and free. Grumps who’ll listen to this album and cry bro-country are devaluing the confident, fluid sexuality of these songs. (The self-love of “Dancin’ in Circles” and the lustful Florence Welch duet “Hey Girl” alone make dirt-road cruises and truck-cab tailgates seem like middle-school romance.) It also ignores the titanic reach of country-pop singularity moments like Shania’s Come on Over and Taylor Swift’s Red, and credits the precedent for Joanne to a bunch of dudes. Like both of those albums, Joanne is divisive by dint of its sheer audacity, but so fun when it gels that we should all get over ourselves and let it happen.